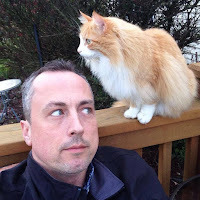 Today is the 16th post in the The Books that Read Us series and features Doug Bursch. 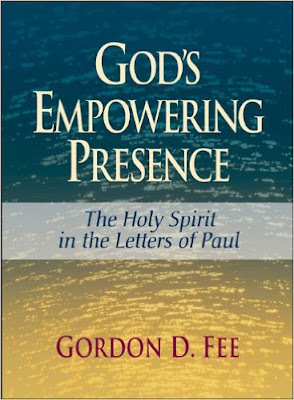 Please enjoy his post below on Gordon Fee's book, God's Empowering Presence. Gordon Fee’s God’s Empowering Presence is a nine hundred plus page, dense theological doorstop of a book. If I hadn’t been assigned to read it twice during my Masters of Divinity work, I would never have read it or allowed it to greatly influence my views of Pauline theology, Spirit-filled living and eschatology. I am so grateful that I paid someone to force me to read God’s Empowering Presence. I’m dyslexic, and as a result I don’t really enjoy reading. I’m able to read, but I don’t choose reading as a way to unwind or relax. Twitter does not count as reading, since social media does not count for much of anything. Thankfully, I was born into a family with two English specialists who refused to let my dyslexia get the best of me. They taught me to read and kept me on the educational track. Even so, I still don’t enjoy reading and I’m not prone to read unless I’m paying for a degree. This brings me back to Fee’s theological doorstop, God’s Empowering Presence, which I will now refer to as GEP, so that I won’t have to read as many words. GEP is pretty much a dyslexic’s nightmare. It has a tiny font, no spaces between paragraphs and no maps or fascinating illustrations. Instead, it’s just a bunch of words on pages that frequently contain tinier words in the form of long footnotes. It’s the kind of scholarly book professors make students read to teach them about suffering and perseverance. At least that was my theory the first time I saw it on my syllabus. I’d like to say I read the first page and immediately saw the worth of GEP. But to be honest, I wasn’t down with GEP from the beginning. That might have had something to do with the fact that it was the end of the quarter and I needed to read the entire book in about two days. As this was pre-internet Google days, I knew I was not going to be able to simply skim the text to find the three key ideas. This was one of those books that was not only thick with pages, but thick with thoughts. As my procrastination had gotten the best of me, I skimmed through GEP and barely learned much of anything about the text. That was my first run through and my first year of seminary. 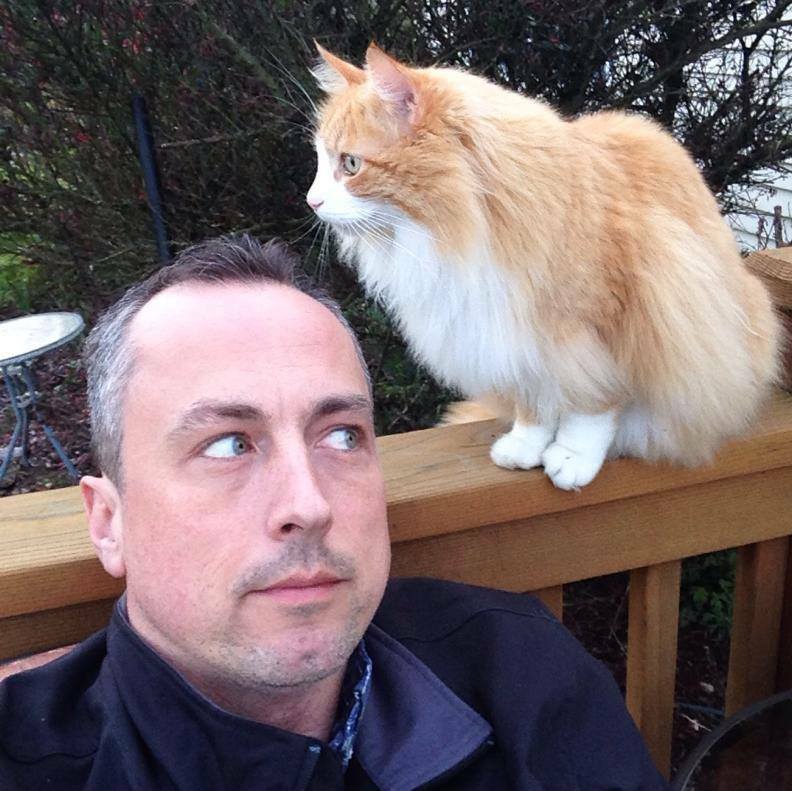 As happenstance would happen, I finished the class, but GEP was not finished with me. In my third year of seminary I found myself confronted with GEP once again. My initial response was less negative this time, when I realized I didn’t need to purchase another book. Also, for some reason, maybe profound guilt for not giving the book its proper respect, I sat down and began to actually read God’s Empowering Presence, word for word, page for page, even almost all the footnotes….well some of the footnotes. What I found was an amazing work of theological mastery. Gordon Fee opened my eyes to the theological foundations of Pauline theology that are often almost totally overlooked by reformed theologians. Fee expanded the role of Pentecost far beyond endlessly looking at Acts 2 for source material. He also changed my view of eschatology. For those of you who do not have a theology decoder ring, eschatology is an erudite way to talk about end times. Growing up in the church, I thought talking about end times was pretty much predicting the end of the world or trying to determine whether or not a world leader was in fact the anti-Christ. As result of those formative experiences, I had absolutely no interest in anything that had anything to do with end times. Once I found out that eschatology was the study of end times, I decided to study something else. Until I read God’s Empowering Presence. "Thus the whole of Paul’s understanding of our present life in the Spirit, paradoxic as it may seem at times, is put into proper perspective if we begin by realizing that the Spirit is both the fulfillment of the eschatological promises of God and the down payment on our certain future. We are both already and not yet. The Spirit is the evidence of the one, the guarantee of the other" (826, GEP). Gordon Fee’s God’s Empowering Presence has greatly influenced my thinking on much of the New Testament. I am grateful that I was forced to read it. Which brings me to a topic that might be slightly offensive. Until recently, I hosted a daily Christian radio talk show for about 5 years, or roughly 1,200 shows. During that time, I interviewed hundreds of authors and had a handful of books mailed to my office every week. Consequently, I’m somewhat familiar with the current state of the Christian publishing and conferencing industry. I’m familiar, and somewhat troubled. The written word has the power to influence people. In my opinion, there is far too much influence being given to authors and speakers with limited theological foundations. I certainly believe everyone has the right to write and communicate. However, I do think it is important that we are discerning readers. Sadly, many of our cultural discussions are being influenced by who is simply most popular. I know popularity has always been an issue. But with theological matters, I would urge my fellow Christian brothers and sisters to dig a little deeper, to move beyond the latest book and find some foundational text or at least theologically proven authors to challenge their intellectual prowess. I fear that we are avoiding the theological doorstops of Fee, for the ease of the latest 250 page “mystery of God” manuscript. As a dyslexic, I too gravitate towards shorter and less academic works. However, I don’t know if those inclinations always serve me well. 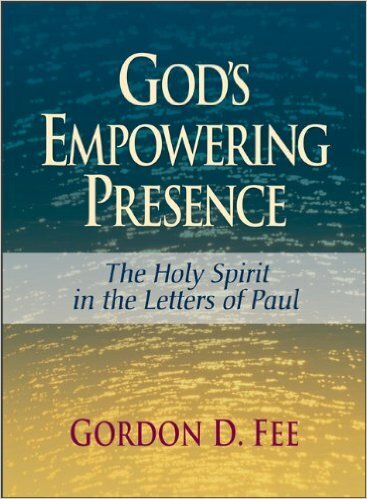 I know they would not have helped me in discovering and cherishing Gordon Fee’s God’s Empowering Presence.